You admit it — you made a mistake, you messed up, and you feel terrible. You simply want 2 minutes to let them know that your heart was in the right place, even if the outcome was less than desirable. Why won’t they listen? Don’t they know that you would never intentionally hurt them this way? 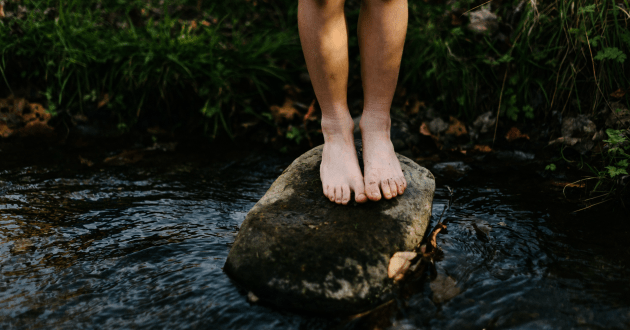 Lately, I have been convicted on how I’ve been reacting solely based on my son’s actions without taking the time to consider the heart behind it. For instance. . . But, by the grace of God, I responded calmly, had him go to his room until I cleaned up the mess, and then went and talked to him. What happened in there, Buddy? His sweet little response: I was just trying to make you a cup of coffee, mama. But it too hard! It hit me right then. . . how many times had I been too busy or too upset to listen to his heart? 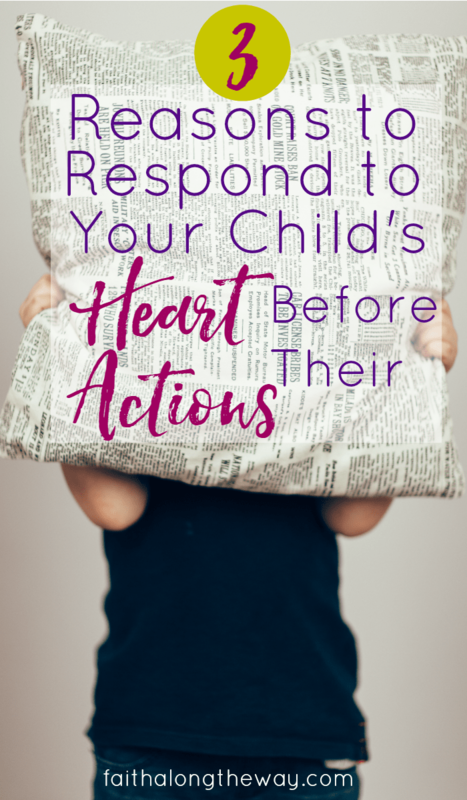 Have you ever reacted to your child’s actions and then later regretted your response? Here are three important reasons for us (yes, us!) to break this cycle! Their heart is more important than their actions. Nothing is more important than their hearts. We know this because the Bible tells us. . .
God looks at our hearts while man looks at outward appearances. Everything in this world will fade, but faith, hope, and love — the greatest being love — will remain. God’s two commandments in the New Testament are both based on love: love Him and love others. By taking the time to see our children through the lens of grace, we’re showing them a small portion of how God loves us. This is not to say there aren’t any consequences for negative behavior (see #3), only that our first reaction shouldn’t be condemnation. We are teaching them grace. There’s nothing we want more for our kid’s than for them to know God’s never ending love and His amazing grace. And yet, both of these concepts are nearly impossible to explain without some sort of context or demonstration. We know grace because we’ve seen it given or it was given to us. When we respond to our children’s heart first, we are giving them glimpses of grace. We’re making entryways into their understanding of the amazing character of God and what He’s done for us. And as much as we wish it wasn’t so, somewhere along the line someone is going to hurt our precious babies. How do we want them to respond? Giving grace to our children doesn’t mean there won’t be consequences for their actions. It does change the method in which we give them — with love, grace, and understanding. Their actions don’t separate them from our love, just like ours don’t separate us from God’s. Pray. Pray beforehand, pray during, and pray after. Know God’s Word. Fill up with so much goodness that there’s little room for the ick. Ask for help. This may mean needing a break from the kids, talking to a trusted mentor, or simply having a friend’s ear to vent to. The important part is not how good you are at this, but Whose strength are you relying on to parent in those difficult moments. And with His strength, you got this, mama. I have learned the hard way that this is so, so important! This is a beautiful post. Absolutely! I, too, have learned the hard way but am praying that I may learn to be a better listener instead of jumping to conclusions.